Despite the fact that I've been there for.. many times in the past year, I just don't see any reason to hold it dear. I still think everyone drives like a maniac there. (They really do!) The motorcyclists were kamikazes and it's no surprise to me if the first batch of rempits came from JB. hahahhahaha!! The second day I was there, I woke up to a strange dream and feeling extremely nauseous. Of course, to be quite honest.. I did throw up an hour later in the car! heh! Good thing I'm pretty aware of my body and that Dida's car is so messy that there were plastic bags everywhere. So I didn't spoil her car.. I think I was pretty cool at handling the situation! hahhaha! Now come to think of it.. everytime soda spurted out from my mouth, it was Sarsi; yet I love it still! ahhahaha! To be fair, the trip wasn't all bad. For one, we get to see Harry Potter and the Order of Phoenix! I don't have much to say about it since it was rather.. forgettable, unfortunately. But I love the Dumbledore-Voldemort duel. That looked AWESOME! 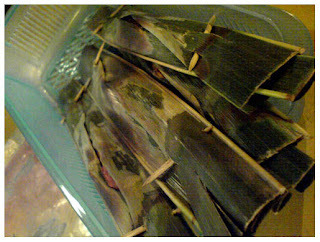 Second, I LOVE having otak otak!! 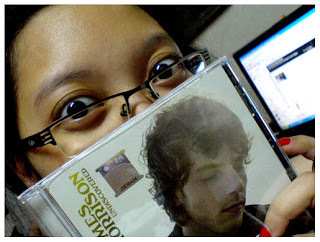 Third, I got my copy of Undiscovered like I've always wanted since I first heard of James Morrison! Now I don't feel guilty for downloading his songs illegally from the internet since I also got his CD! cheers!! Dida got herself Take That's Beautiful World and Samson's Penantian Hidup. Finally, although officially I didn't get this while I was in Johor.. I got this on the way back from JB so I'm really happy!! Got my 5th Converse** in Seremban when Dida and I visited the Kiddies at the hospital. They were admitted because they were vommiting on Saturday (like their aunt Wanie!) after Mama took her eyes off them and they managed to get their hands on some questionable chocolates. Budak lahap, semua pon nak telan! ahahhaha! Anyway, this is my first Hi-Top. I was originally looking for an X-Hi but would you believe it, there was NONE in any Converse stores I've been to! (Midvalley, OU, JB, Seremban.. anywhere!) They do have this new X-Hi design that reminds me of safaris with the pockets on the side but I just don't need that! 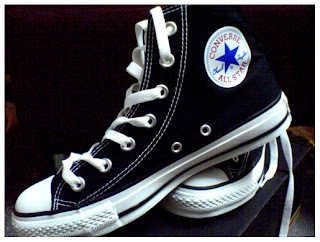 So I settled with this black Hi-Top Chuck Taylor.. I just WANT a new pair so badly! Okay. I haven't got anything else to share now. Feeling a tad restless.. and anxious. It's a new week!!!!! eeeeeekk!!!! edited on 2:15 AM, July 16th 2007. ** just did the math. On average, I get a new pair of Converse once every two years! last edited on 2:43 PM, July 17th 2007.